In the news this week in Latin America: anti-GM activists under threat in Argentina, bomb explosion in El Salvador, UK backing for a security council seat for Brazil and a museum expedition that could turn into genocidal threat in Paraguay. Ceasefire correspondent Tom Kavanagh delivers his weekly round up of what's been going on south of the border. Pressure from activist groups in Argentina to outlaw the use of genetically modified herbicides in the country is growing, with many insiders accusing big agribusiness and biotech companies of fighting dirty in an effort to suppress opposition to some of their most profitable products. Earlier this year, the government of Chaco province, a territory of around one million people in the north of Argentina, released a report which contained some alarming statistics. Analysing a case study in the form of the town of La Leonesa, the report notes that child cancer rates trebled in the period between 2000 and 2009, with the number of reported birth defects quadrupling in the province during the same period. This has coincided with an escalation in the use of genetically modified herbicides and with increasing control of the provincial agriculture sector by large, and often foreign-owned, corporations. Those living in close proximity to soy and rice fields owned by local agribusinesses where heavy spraying of glyphosate-based herbicides has been recorded were particularly susceptible to increased rates of disease. 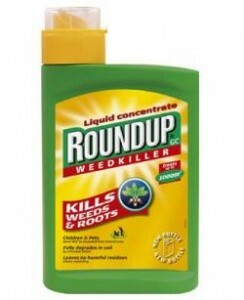 The most commonly deployed glyphosate-based herbicide in Argentina is Monsanto’s Roundup Ready, the use of which requires the planting of genetically modified seeds capable of resisting the potent weed killer. The seeds are also sold under Monsanto’s Roundup brand, and altogether the Roundup line of products constitute around half of the U.S. based biotech giant’s revenue stream. Concerns about the safety of genetically altered crops and herbicides are nothing new, and birth defects and other health problems including spontaneous miscarriage and children born with deformities directly linked to the use of GM products are also a common concern in neighbouring Paraguay, however the case of Chaco province has attracted particular attention in no small part due to a serious disturbance which took place in the town of La Leonesa in August. Professor Andres Carrasco of the Buenos Aires University Medical School was scheduled to give a presentation detailing the provincial government’s findings with regards to the increased incidence of birth defects and serious health problems associated with the use of genetically modified crops and herbicides at a school in the town. The professor’s delegation, however, never made it to the talk. Carrasco had been joined by two provincial deputies, as well as the former Sub-Secretary for human rights in the province, however as his party made its way to the school they were set upon by a mob of around 100 people, who threatened and physically assaulted the group, forcing the Professor to lock himself in his car, where he remained for a further two hours as the angry brigade surrounded him and banged on the windows. Several members of Carrasco’s party were attacked, with one person left paralysed from the waist down after being struck on the spine. Another member of the group is still in hospital, having undergone neurological examinations after receiving several blows to the head. The former Sub-Secretary for Human Rights in Chaco, Marcelo Salgado, was hit in the face and knocked unconscious during the altercation. The presentation never took place, and eyewitnesses were heavily critical of the response of local police, with officers reportedly delaying their arrival and doing nothing to stop the mob from intimidating the party bound for the school. Members of the local community concerned with the increasing and unrestricted use of GM herbicides and seeds have implicated several local officials in the attack according to Amnesty International. Lingering birth defects and other grizzly side effects associated with the use of Monsanto products are not limited to those in the Roundup category. The company, which has since rebranded itself as “an agricultural company” which “appl[ies] innovation and technology to help farmers around the world produce more while conserving more” according to its own website, was the primary developer and manufacturer of the deadly herbicide Agent Orange, used to devastating effect during the Vietnam War. Monsanto, along with fellow petrochemical giant Dow Chemical, produced Agent Orange under license from the U.S. Department of Defense, which in turn sprayed 80 million litres of the toxic defoliant on Vietnam, Laos and Cambodia over a nine year period culminating in 1971. An estimated 4.8 million people were exposed to the defoliant in Vietnam alone, with over 400,000 people being killed or maimed as a direct result. Both Monsanto and the U.S. Defense establishment had known since at least 1952 that Agent Orange was toxic and that its use would be likely to provoke serious health problems and death in those that were exposed to it. 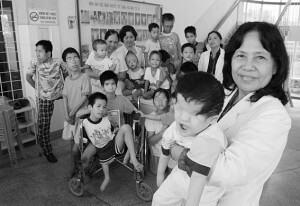 In addition, over 500,000 people have since been born with serious birth defects as a direct result of exposure to Agent Orange in Vietnam, and children are still born with disabilities and deformities because of their predecessors’ contamination by the toxic defoliant to this day. 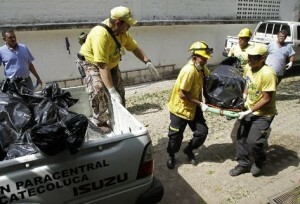 22 people have been confirmed dead following a fire at a juvenile detention facility in El Salvador. The blaze broke out at around 5 am on Wednesday morning at the prison in Ilobasco, 34 miles northeast of the capital San Salvador. The death toll has been steadily increasing in the interim, with several detainees subsequently dying from their injuries despite receiving treatment at a hospital in San Salvador. The 22nd confirmed fatality was that of Moises Vasquez, who perished on Saturday afternoon having sustained substantial second and third degree burns as the inferno raged and prisoners were left with no escape route. Many others died either from extensive burns or smoke inhalation. A further 18 people are currently being treated, with some still said to be in a critical condition. The fire was attributed to an electrical fault, which will come as no shock to observers who in recent weeks called attention to the “deplorable” conditions at detention facilities throughout the country. Human rights organisations and representatives of the Catholic Church in El Salvador have repeatedly decried the dangerous and insanitary conditions at Ilobasco and other sites in recent years. In October the Archbishop of San Salvador slammed the “terrible conditions” inside the nation’s jails, where some facilities currently house more than three times as many prisoners as their inmate capacity allows. Official statistics show that a system of 23 prisons designed to hold 8,110 contained more than 23,000 inmates last month, with 45% of offenders held in youth detention facilities currently over the maximum age and awaiting transfer to adult prisons. The Centre for the Rehabilitation of Young Offenders (CAJI) where the fire occurred is used to house inmates convicted of crimes committed when they were under 18 but who are now too old to be housed in regular youth detention facilities. Many of the 93 prisoners housed at the Ilobasco facility are said to belong to the notorious Mara 18 gang, infamous for its ruthlessness and recruitment of children and adolescents in disadvantaged communities. 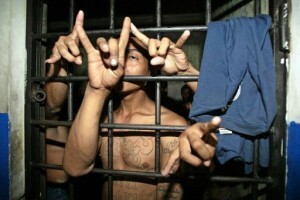 El Salvador, population 6.2 million, has in recent years suffered from widespread gang violence and has one of the highest per capita murder rates in the world. A devastating civil war which raged for 12 years until a 1992 peace accord claimed an estimated 75,000 lives. The Salvadorian military regime under Alfredo Cristiani and associated paramilitary bodies were supported both financially and militarily by the U.S. government during the conflict, with pro-government brigades achieving notoriety for their brutality and targeting of civilians perceived to have given support to a collection of resistance groups, which received support from the Soviet Union and Cuba. 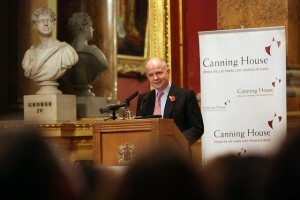 British Foreign Secretary William Hague spoke this week of his support for Brasilia’s ambitions with respect to obtaining a permanent seat on the United Nations Security Council. just one day after U.S. President Barack Obama had endorsed India’s intention to cement a similar position. He was speaking at the annual Canning lecture, which focuses on Britain’s relationship with Latin America and the Iberian countries. The Foreign Secretary affirmed that “Britain’s retreat from the region is over, and it is now time for an advance to begin,” words that may prove unsettling in some quarters, particularly as many in Latin America feel that the United Kingdom has historically used its position of economic prominence and technological and military superiority to exploit the region’s vast mineral reserves and natural resources, whilst giving the region poverty and support for oppressive regimes in return. In addition to having the world’s fifth largest population at over 185 million, Brazil is Latin America’s largest economy by a stretch, and the ninth largest economy in the world excluding the European Union. Vast offshore oil and gas reserves discovered in recent years, with a significant find announced at the end of October, have fuelled speculation that the country could join the Organisation of the Petroleum Exporting Countries (OPEC), a cartel of oil exporting nations which also includes fellow South American nations Ecuador and Venezuela. Brasilia has refused to toe the Security Council line over the issue of Iran’s civilian nuclear programme, maintaining that the Persian nation has the right to use nuclear energy providing it does so in a strictly non-military context, and saying that to take any other position would amount to hypocrisy. Indigenous leaders representing tribal groups in the Gran Chaco region of Paraguay have warned that a mission whereby teams of British and Paraguayan scientists and their retinues will visit the isolated area in order to document previously undiscovered insect and plant species could potentially pass on infectious diseases that could threaten native groups in the vicinity. 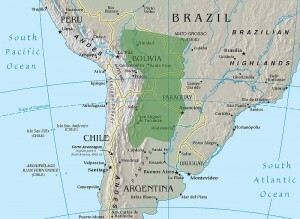 The Gran Chaco is a vast area of dense, dry scrub forest home to several indigenous groups who pointedly shun any contact with Western society, stretching over swathes of Paraguayan territory in addition to parts of northern Argentina and Bolivia and covering a total area roughly twice the size of Great Britain. The two sites where the teams of scientists will stay have been confirmed to be in close proximity to areas inhabited by groups of Ayoreo people. As such indigenous defence groups had spoken out in an effort to avert the potentially devastating consequences of the expedition, which departed last Wednesday. Benno Glauser, the director of one such group, Iniciativa Amotocodie, urged the immediate cancellation of the expedition in a six-page letter to its Natural History Museum-based coordinator, Dr. Sandy Knapp. There are around 150 Ayoreo living in isolation in the forest, down from 5,000 in 1950, in no small part due to active Christian missionary recruitment which used lands granted to the Church by the Paraguayan government to recruit from and “civilise” the inhabitants of the Gran Chaco. A common concern is that indigenous communities will be at risk from infection by diseases of European origin to which they have no biological immunity. Swathes of the indigenous population of the Americas were exterminated following the arrival of Europeans in the New World due to infection by European diseases, at times as part of a deliberate ploy to rid the continent of its native inhabitants but mostly as the result of foreign infections which arrived with the settlers and which indigenous immune systems could not combat. Despite clarifying the objectives of the expedition, which had already been disclosed in previous press releases, the Director of Science ignored protestations from grassroots indigenous groups that they would be at risk of infection by new diseases, and ignored concerns that members of the visiting party might be met with violent resistance. 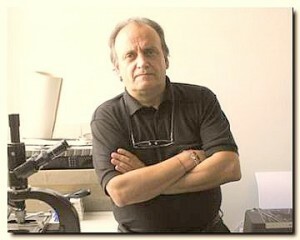 Tom Kavanagh, a writer and activist based in Argentina, is Latin America correspondent for Ceasefire. His column on Latin American affairs appears every Monday. « Previous: Deserter’s Songs Free Music: A Price Worth Paying? London’s Natural History Museum has suspended a planned expedition to a remote region of Paraguay after protests that it might disturb one of the world’s last uncontacted tribes. 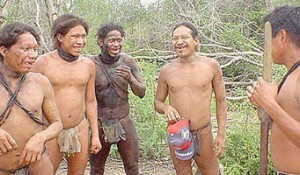 Campaigners had warned that the expedition to the Chaco region was likely to encounter the Ayoreo people. Contact might expose them to infectious diseases that could wipe them out. The 100-strong expedition was due to set off in the next few days in search of new species of plants and insects. The Natural History Museum said the trip would now be delayed while its partners, the Paraguayan environment ministry, consulted further with indigenous representatives.